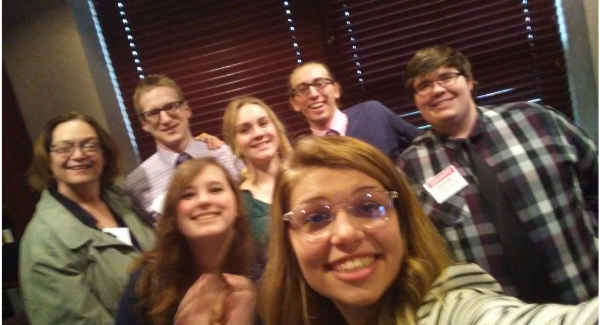 Newman University was well represented at the 2019 Kansas Association of Historians (KAH) Conference with seven students presenting original research. 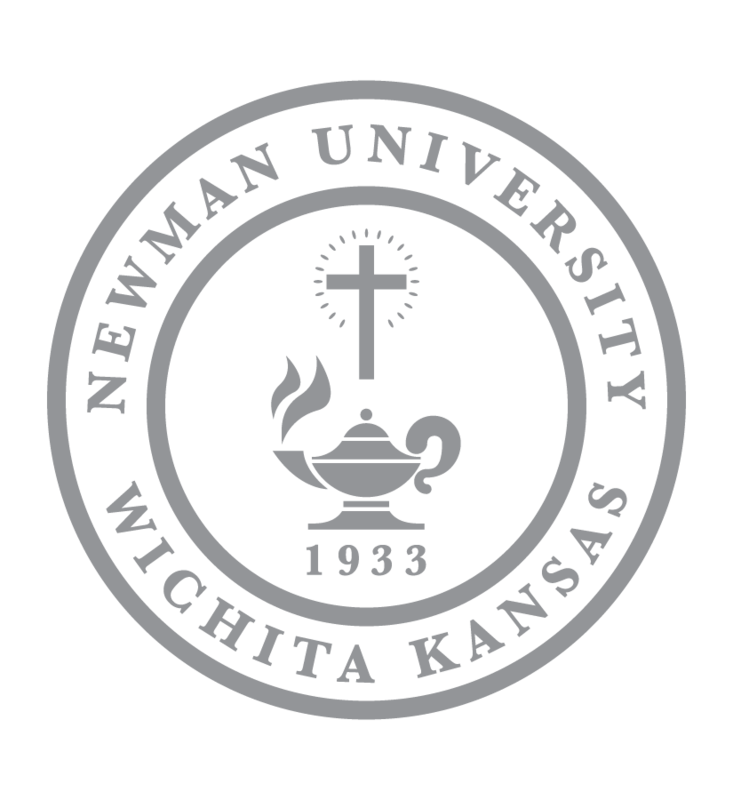 According to KAH officials, Newman had the largest representation of any university at this year’s conference. 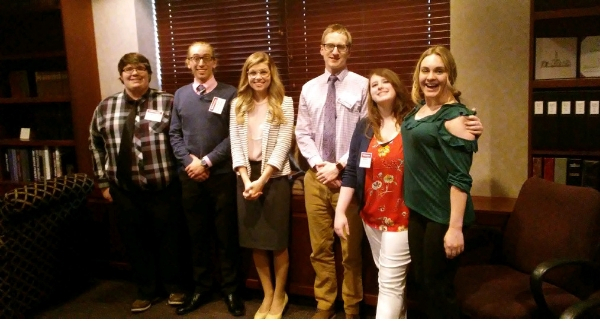 The conference was held March 29-30 at Kansas State University and allowed students to present original research on a historical subject of choice to a panel of professionals. In order to qualify to present, students wrote a one-page proposal regarding their subject that was reviewed by the KAH conference committee. Students chosen to present at the conference learn valuable skills and gain experience and knowledge about presenting professionally, networking, publishing and graduate school opportunities. Sophomore Michael VanDeest works in the Newman Archives department and was thrilled to attend the conference. 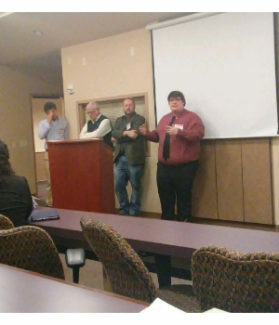 VanDeest was the only Newman student to present on Friday but quickly shook his nerves once he got to his panel and gave a smooth presentation. Michael VanDeest (right) fielding questions after his presentation. “My actual presentation and the reception from the audience was certainly the highlight of my weekend,” he said. His presentation invoked a fruitful question and answer session, which VanDeest found rewarding. Junior Courtney Klaus who is majoring in history, attended last year’s conference but was still nervous about presenting in such a professional atmosphere. In her panel, all other presenters were either graduate students or professors. “I like being able to work on my presentation skills, and I love the academic environment of a conference in general. 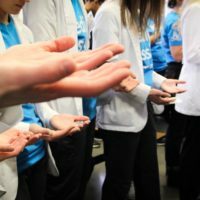 Even though it’s my second year, it’s intimidating because no one else presenting in my panel were undergraduates,” said Klaus. The seven presenting students had done enough research to become “experts” on their chosen subject. 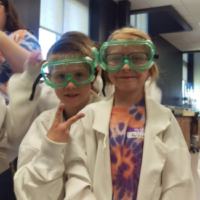 This helped build their confidence when presenting to fellow scholars and made their experience all the more gratifying. “I gained a lot of knowledge on how to research and put together a historical thesis and analysis. I also gained more courage in presenting my research and being confident in what I was trying to argue. It’s not every day that someone gets the chance to present their thesis to colleagues and other professionals, so it was an honor to present my research at the conference,” said senior Luke Entz. 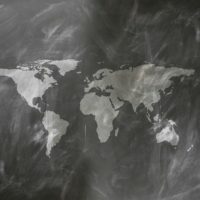 Klaus agreed, adding that it’s a great experience to be able to teach such individuals with so much knowledge something new. Students take a selfie with professor Cheryl Golden (far left).